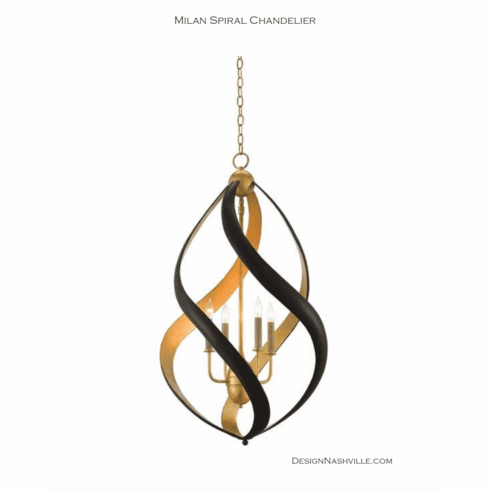 A striking silhouette is created by four sleek spirals finished in satin black and gold leaf. Though, the shapes are fluid, the piece is expertly wrought of iron! Because the package is extra large, this piece can't ship via FedEx or UPS. It must ship via truck freight. Please provide your best daytime contact information so that the delivery service can reach you.